Noah Baumbach's last three films have had monstrously self-absorbed characters at their core, and the films have grown increasingly hard to take. The director's latest is Greenberg, and the title character is one who is so irritating and charmless I found it a fruitless chore to endure two hours in his company. This is a source of great frustration to me, because I always find a lot to admire in Baumbach's work. 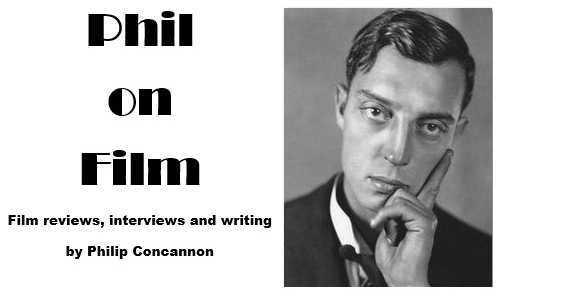 His direction has a tight sense of claustrophobia that places us right alongside his neurotic characters, and his caustic writing frequently offers up moments of clarity, insight and dark humour. Against all of that, however, there's the simple fact that I found both Greenberg and Baumbach's previous film Margot at the Wedding quite exhausting to watch, and there is precious little reward here for those who stay the course. Despite the overwhelming narcissism of the central character, the first person we see onscreen in Greenberg is someone other than him. Her name is Florence, and she's played by Greta Gerwig, the actress making her first attempt to build on her mumblecore popularity in higher-profile pictures. 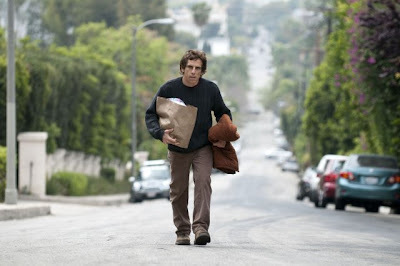 Florence is the personal assistant to the Greenberg household, and when the family leaves for a month-long vacation, she is left to contend with Roger Greenberg (Ben Stiller), a depressive carpenter who has moved temporarily to Los Angeles while he recovers from a breakdown. Florence's brief is to check in on him occasionally, and her prime concern is for the family's dog, but the pair of them – both bored, lonely and lost – begin a hesitant and awkward relationship. Neither Roger nor Florence seem to get a great deal of fulfilment from this on-again off-again setup, and there's not much fun to be had in watching it either. He's a miserable, selfish jerk who lures her in only to repeatedly reject her; she's a passive doormat who offers little resistance to his emotionally abusive behaviour. Despite this, Florence remains an appealing, sympathetic character, thanks to the charming understatement Gerwig brings to the role. Rhys Ifans also excels as the only one of Roger's former bandmates who is still on talking terms with him, Greenberg having ruined their dreams of a record deal years earlier. It's quite touching to see how Ivan dutifully stands by his old friend out of some vague sense of loyalty, even as he is belittled and aggravated by Roger, and this relationship is one of the few in the film that really feels true. The central character never quite rang true for me, though. Greenberg trades heavily on Ben Stiller's frustrated, neurotic, aggressive screen persona, but he plays his part in a single tiresome register. We expect Greenberg to soften slightly towards the end of the film, and he does, just a little, as he finally begins to show a hint of consideration for those around him, but is it worth wading through the self-loathing and misanthropy for this brief moment of epiphany? Particularly when it is depicted through such laboured scenes as the extended party sequence in which Greenberg makes a fool of himself, or the silly morning-after sidetrack that almost sees him journeying to Australia on a whim? Greenberg is a film defined by its eponymous figure – it is narrow, cold and sour – and while Florence keeps giving him a second chance, I couldn't find the will to embrace something that was so intent on pushing me away.